Ours was pretty good; could use improvement, though. So thankfully there’s always next year. But at least we have good Easter baskets. There’s something to be said for good Easter baskets. But what constitutes a good Easter basket? You go from this . 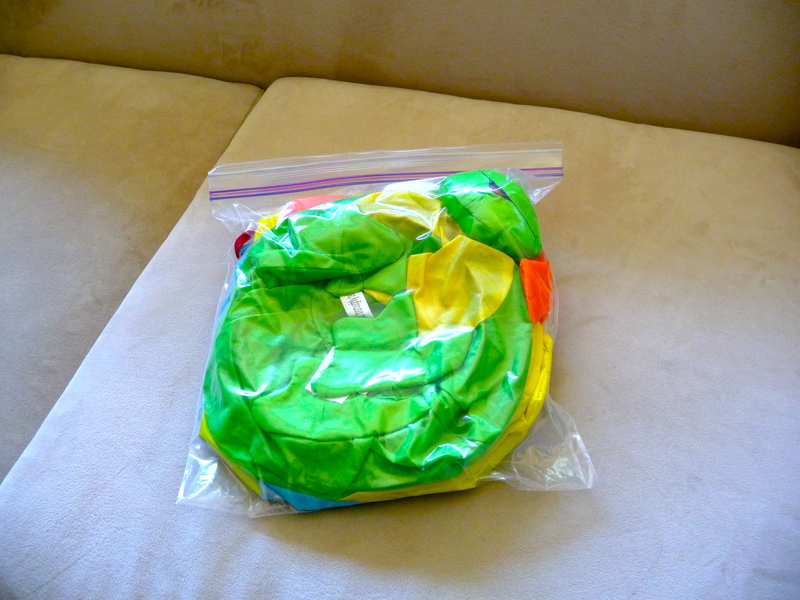 . .
That’s a gallon-sized Ziploc bag. No joke. They all fit in there! So easy to store. More room for more decorations. I found mine at Wal-mart a few years ago. You’ll notice I only have 5 baskets, but 6 children. Yes, I’m pretty good at math. I didn’t even try to find one for Luke this year because my baby doesn’t really care. He only just turned 9 months (and is SUPER adorable still, by the way). Next year I’m sure he’ll care. He’ll wonder why he got jipped and didn’t get a collapsible Easter basket like his siblings. He may not be talking, but that Easter basket thing could become very ugly. It really could cause some trauma. I’m going to go ponder on that now. 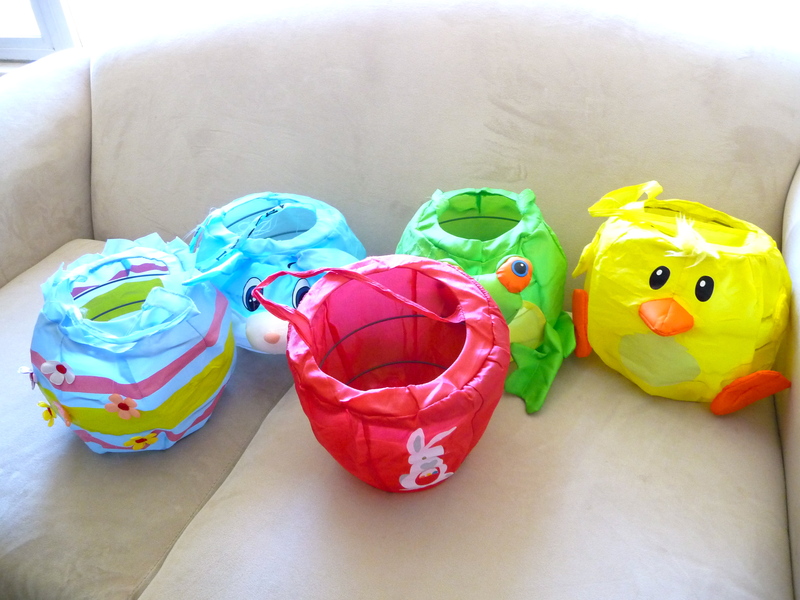 This entry was posted in Holidays, Organizing and tagged collapsible easter baskets, ziploc bags. Bookmark the permalink. Your oldest will be so over it. Have a chat with him about giving his easter basket to little brother. We didn’t even do easter baskets this year. I mean, we got the baskets down (they are my biggest box in the shed) and took them to grandma’s for the easter egg hunt and then we put them away. Bunny didn’t even show his twitchy little tail around our house (hooray!). We had warned the kids of this eventuality and no one even complained. Gave us more time to focus on what Easter is really about.